This post brought to you by Gro-ables Project. The content and opinions expressed below are that of Simple Acres. The season has come for new life and land. The new calves are running in the field in the evenings racing around and playing as though it’s a game of tag. The trees are blooming with the aroma of sweet blossoms and the grass is becoming green. With this season on our farm comes an opportunity to teach the value of nature and hard work. 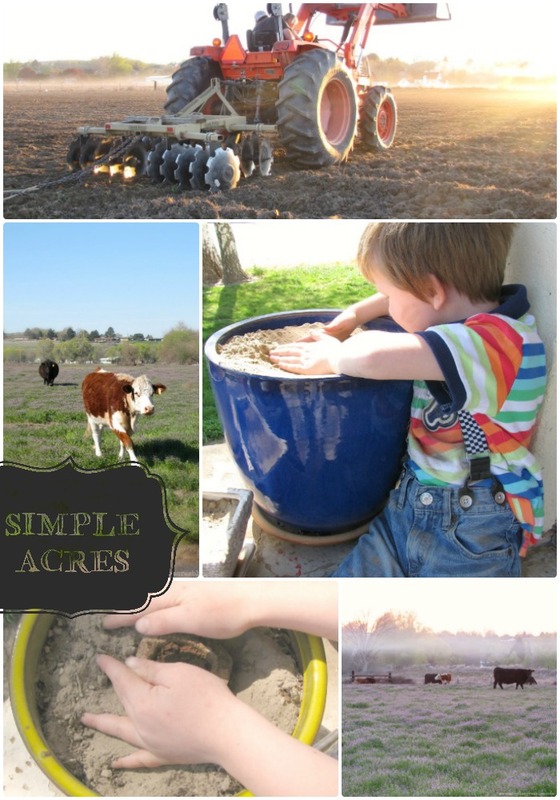 The farm, raising cattle and planting a garden serves as wonderful teachers for my children. Whether you live on a farm or live in a city, gardening is a great activity that teaches the value of self-sufficient living. 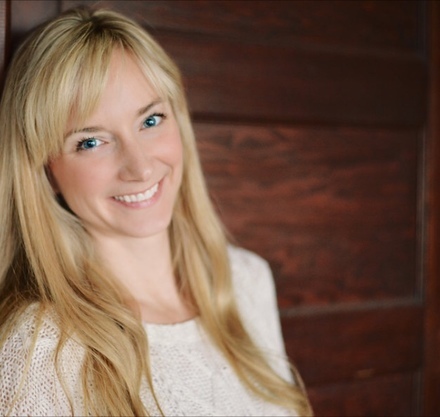 Have you ever considered a more self-sufficient lifestyle? I can attest that although it takes work it can be rewarding and enjoyable. Currently we our tilling the land and growing grass on our acreage as a way to fuel our growing herd of cattle. We are getting the soil ready in the garden and planting our first seeds of corn and peas. 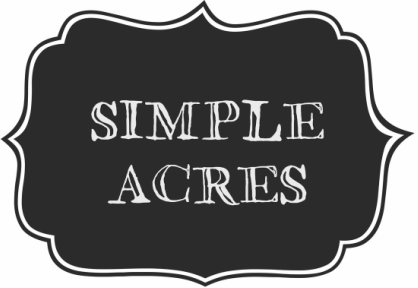 From the growing of the grass to the garden, all these efforts are being put out ultimately to promote self-sufficient living here at Simple Acres. All the while our children get to watch and interact in these actions of hard work and love. The value of a simple self-sufficient lifestyle. Hard work is the first value that comes to mind. This is something I still am coming to appreciate when it comes to getting down and dirty on our farm. I will say hard work whether it be the farming we do or even the simple goal of growing a small garden and having chickens teaches appreciation. Appreciation for the positive end result when effort is spent toward self sufficiency. 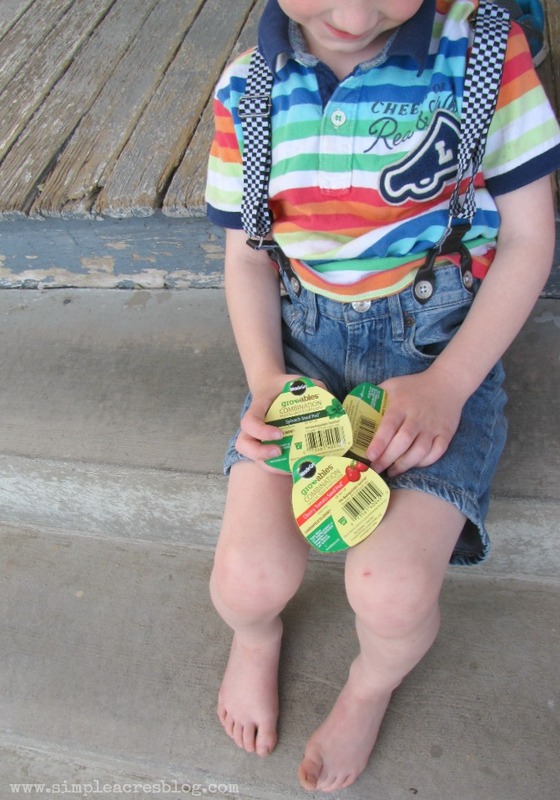 Resourcefulness teaches children to be creative, value nature and not be wasteful. Frugal thinking, encourages more responsibility in the goods and monetary blessings our children will experience in their life. 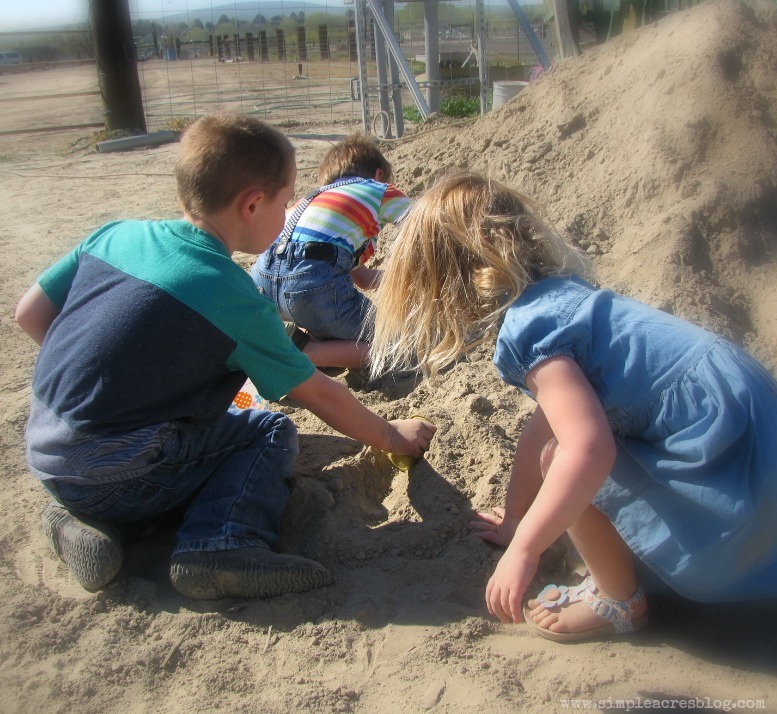 Not always can our children play an active role in the many duties farming or simple living calls for. This inspired me to share how gardening with my children has helped them value our self-sufficient lifestyle and also feel a part of all the fun. 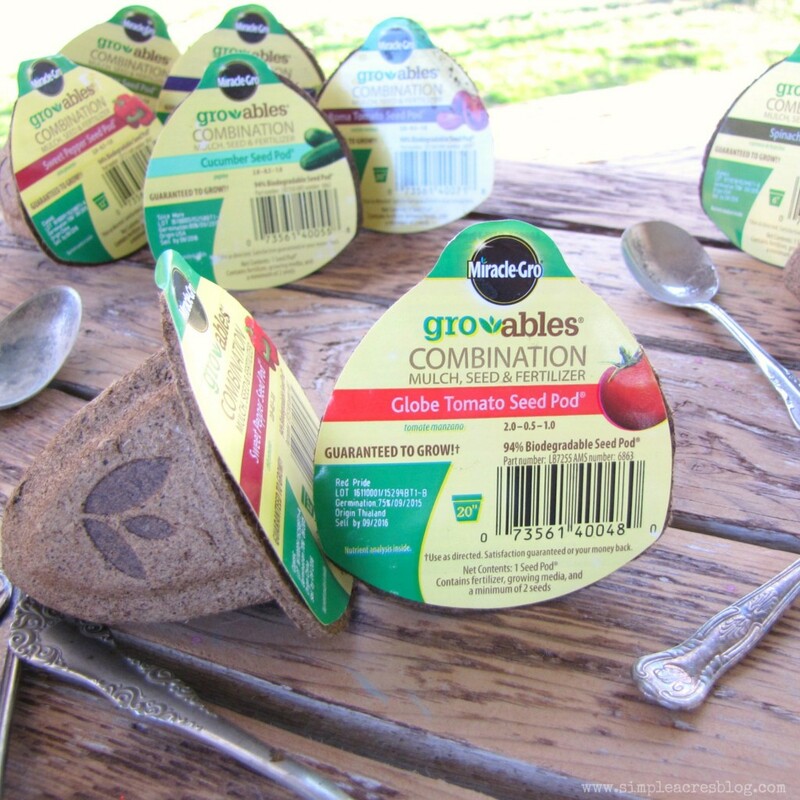 We chose to partner with Miracle-Gro Gro-ables as a wonderful NEW product that is a fun activity for kids and families that get kids outside and interacting with nature and food! While my “Sweet Cheeks” is planting 5 acres of grass to feed the cows that ultimately feed US, the kids and I are replicating the same self-sufficient action by planting herbs and vegetables we too will eat and enjoy as a family. The seed pods come completely ready in biodegradable cups that include the plant food to guarantee growth. 2. 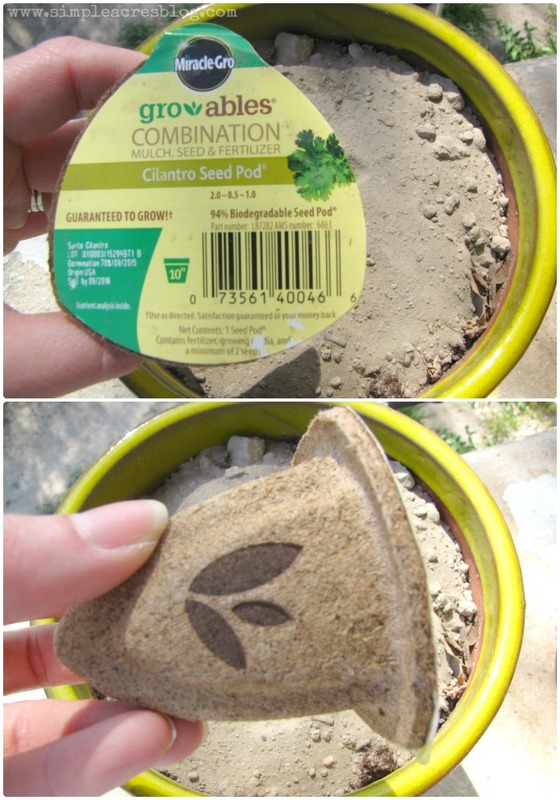 Push the seed pod into loosened soil until the top is level with the soil’s surface and water daily. 3. In 1-2 weeks your seed will sprout. Several months after planting, flowers will appear which means produce is close at hand. I can attest that my kids loved this activity! “Daddy” was literally out on the tractor as they were also doing their own planting and contributing to the family. Gardening these seeds caused an excitement they have talked about daily since and a sense of pride in their hard work. With all honesty friends, EVERY SINGLE one of our seeds planted is sprouting! We labeled our plants with up-cycled and stamped vintage spoons. The tutorial can be found here. I stand confidently with the Gro-ables Project belief. 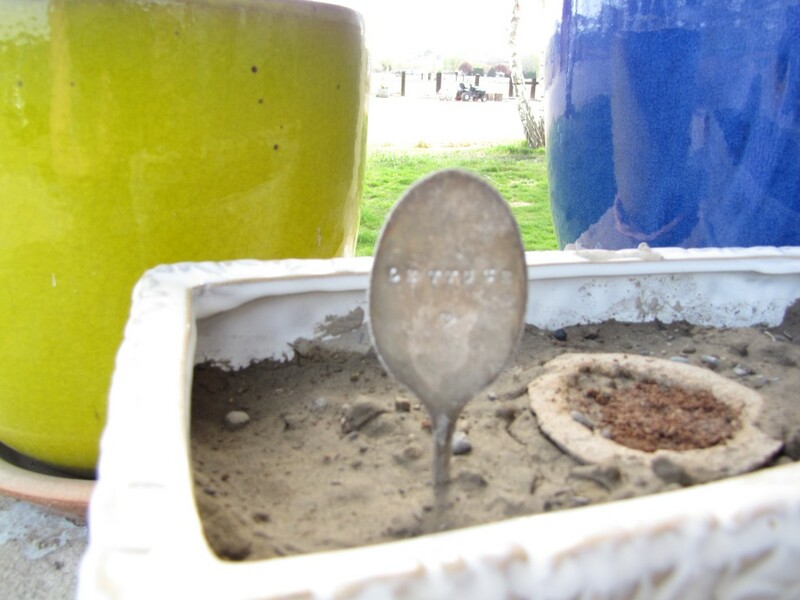 There’s a lot to learn from even the smallest plants and the smallest gardening project! (Heck we planted in pots on our porch for start up.) The Gro-ables Project is a movement to share the joy of growing herbs and veggies while giving kids truly hands-on learning experiences. My girls learn about good bugs for the garden, and bad bugs for the garden. Last year we were all surprised that ladybugs start out looking like a tiny black caterpillars with red spots. (Living on your tomato plants) don’t squish those ones!!!! I can not begin to tell you how excited my toddler is with the garden he planted. He simply can’t wait for it to grow! Awesome post =) I totally agree. Kids should spent more time outdoors. Our germaphobic, hyper hygienic society has actually placed us and our kids in a weaker state. 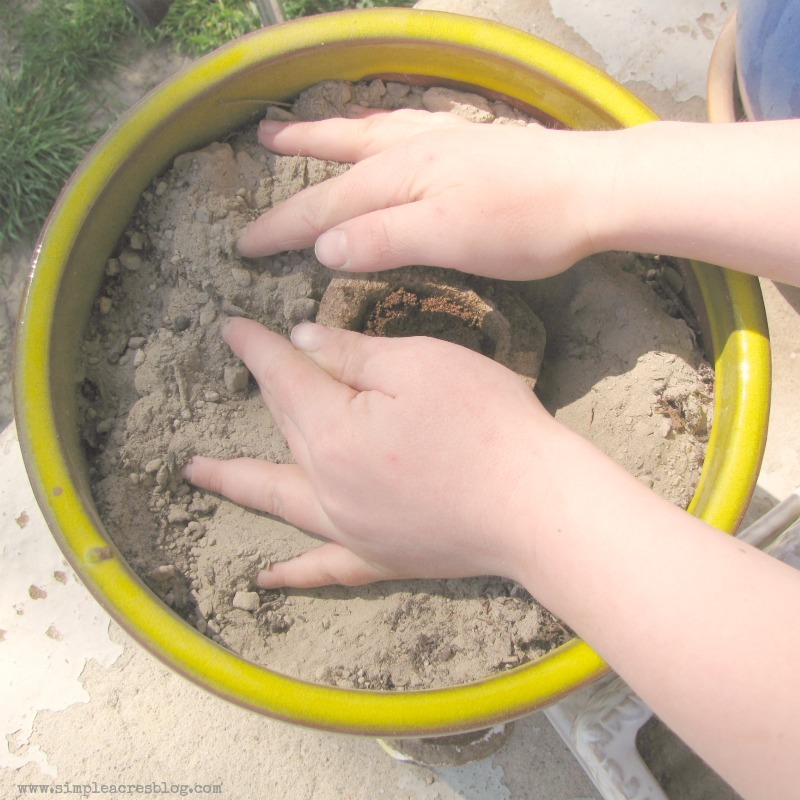 Dirt has a positive not only on physical but on the kids’ emotional well being as well. 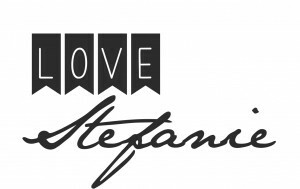 I love your feedback so much! Agreed!